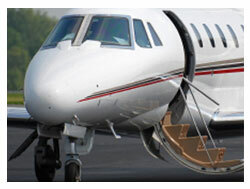 Private jet travel has become a popular alternative to airline travel over the past 5 years. Widely considered to be a more accommodating, safer means of travel, discerning individuals often choose private planes when they travel for business or pleasure. The freedom involved in being able to choose your own pilot and travel itinerary can warrant the extra cost involved in private plane travel for some. Although there are some differences, private plane accident victims have many of the same rights that major airline accident victims do when it comes to seeking restitution for things like medical bills, lost wages, and pain and suffering due to a catastrophic private plane crash or other aviation disasters. Private plane crash accident litigation can be exceedingly complex. The intricacies of airline travel coupled with the industry’s relative lack of regulation can be a dangerous combination. A private pilot’s license is far easier to obtain than a commercial one, and the maintenance standards for private planes are not enforced as vigilantly as they are in the commercial airline industry. In addition, lack of “black boxes” on private aircraft can make the investigation of a private plane crash far more challenging. Additionally, small problems with equipment, personnel training, and inclement weather, can become large factors for some of the smaller companies that manage private plane travel. If a victim survives a private plane crash, they often do so with debilitating and life-changing injuries. The ability to work and participate in daily activities is compromised, and victims are left with substantial medical bills and compromised means of financial support. In addition, psychological trauma can make recovery even more challenging. This is in addition to the devastating losses suffered by the families of those who are wrongfully killed in private plane crashes. A life – or a person’s ability – isn’t easily replaced. However, victims of private plane crashes do have the right to file for damages and compensation under the law. Given the complexity of these challenging cases, it’s important to find the right attorney when pursuing private plane crash litigation. Your lawyer should understand the complex ins and outs of aviation law, know how to effectively investigate a private plane crash, and be able to aggressively pursue your interests in court. Experienced and committed to exemplary client service, Panish Shea & Boyle LLP is the firm of choice for personal injury victims nationwide. Have you experienced a private plane crash or lost a loved one in such an accident? Help is just a phone call away. Call our offices today for a complimentary, confidential phone consultation. Doe v. Private Charter Company $30,000,000 Settlement for an individual wrongful death in a case pending in Federal Court. Witham v. Avjet $11,000,000 Wrongful death in a charter jet crash in Aspen. This was the only case from the crash to go to trial. Brian Panish and Kevin Boyle tried the case and the jury found that punitive damages were warranted. The case settled for a confidential amount before the punitive damages phase of the trial. Doe v. Charter Company $4,000,000 Wrongful death in a high profile charter plane crash that occurred overseas.